Delhi's convenor Gopal Rai Talks to National Spokesperson Ashutosh on AAP's win in Bawana Bypolls. 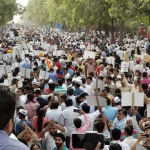 The party could only achieve such a smashing victory against the BJP because of the connect it established with the Aam Aadmi. The party successfully communicated with the people the Delhi government’s achievements over the past two years. The Bawana by-poll was also a vindication of the belief that media-created perceptions are an eyewash. The people of Delhi have complete faith in the leadership of Arvind Kejriwal. The struggle is a long drawn one with several political and administrative obstacles. But with the backing of the people nothing is out of reach. AAP is a party born out of Revolution and the struggle will continue! I am shocked to see your silent victory because as usual, Media will not show your achievements. I can realize how free media is nowadays. Media has lost it’s courage and freedom too. The need of the hour is to “Be wise as serpents among parties and politicians BUT Be Gentle like a dove for People for Aam Aadmi”. All the best AAP. For the coming Gujrat assembly elections I would suggest you to declare a Chief Ministerial candidate well in time and campaign under his/her leadership.Don’t forget it is a time of leaders ie. 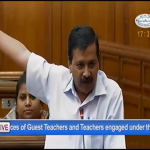 Modi, Kejriwal,Nitish,Mamta. Parties and their ideologies are trusted on the behalf of the flag bearer.Had it been done in Punjab we would have seen more positive result. 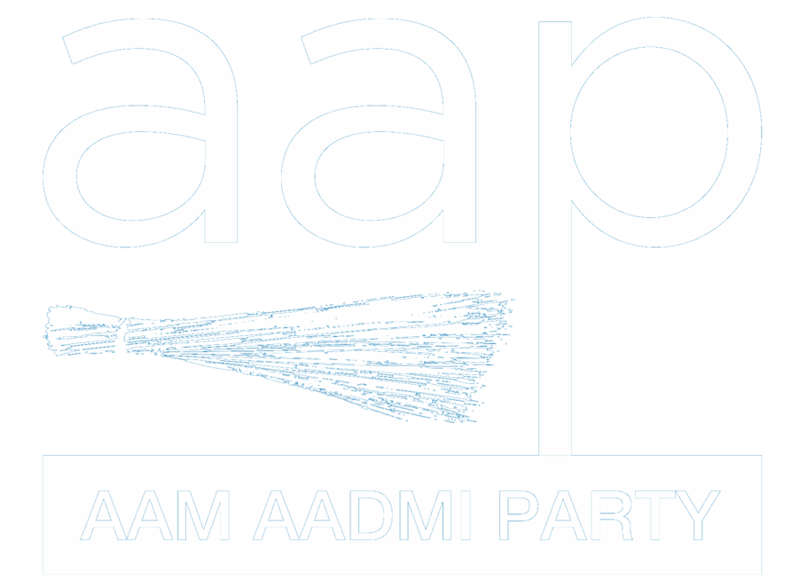 Congratulations for Bawana victory.I appreciate AAP working silently for with direct focus on public welfare.Keep it up .No need to talk about the faults and wrongdoings of others.Create a new, fair and trustworthy way of functioning.It is the need of the hour.People are fed up with cunning political moves.Best of luck. DEMONETIZATION has brought India 10 Years backward. THIS IS 100% TRUE. 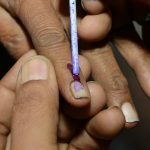 EVM Manipulations will bring India 20 Years backward. To save India from going 20 Years backward then EVM must be BAN in India and BALLOT PAPER must be Welcome in India. THIS IS NOT A LIES. THIS IS 100% TRUE. EVM WILL TAKE INDIA 20 YEARS BACK. AK should visit each constituency to inform about the Ideology of AAP. Education Minister should visit each constituency to inform about the Education Reform. Health Minister should visit each constituency to inform about the Health Reform. Water & Electricity Minister should visit each constituency to inform about the Water & Electricity Reform.